Baum-Kuchen: 04:06:12 [107:365] - one of those days. I think we are little tired from traveling for so long. looking forward to starting a new day tomorrow. p.s. 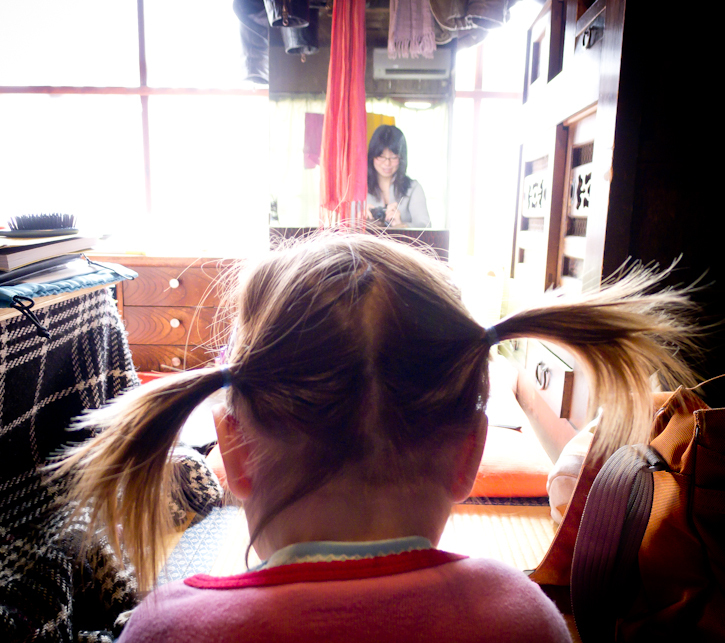 a photo of the first pigtail on little Roo from this morning. They lasted about 30 minutes but they surely were pretty adorable!